Danny Holley has hunted many species with R&R Guide Service. His brown bear taken in the fall on our exclusive native land concession is his most prized trophy. 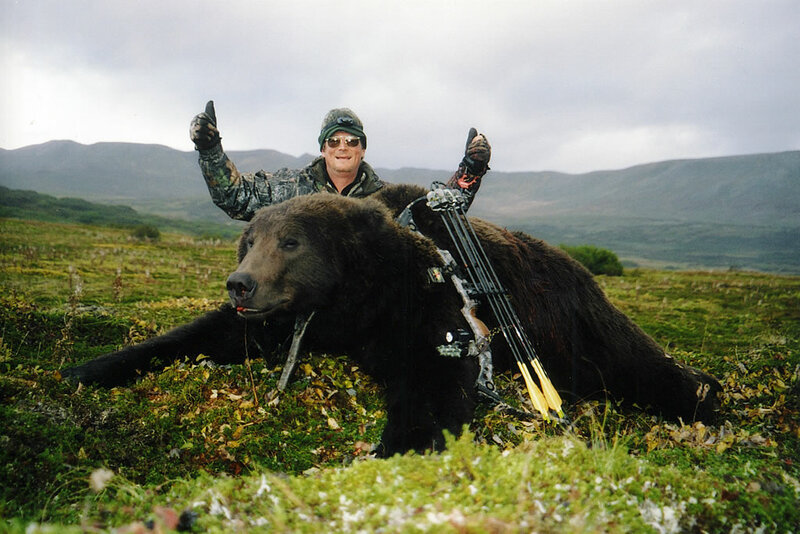 Danny was determined to harvest a brown bear with a bow and succeeded doing so on the eighth day of a fourteen day hunt. This bear was ambushed on a trail that led to a stream in which the bears were feeding. Danny’s bear had an exceptional hide and squared over 9’.